Keystone State residents who are about to purchase new life insurance policies may not know all the rules, but lucky for you Life Ant does. We have sorted through the minutia of state charters so you don’t have to. Here are the Pennsylvania specific laws and regulations pertaining to your rights as a policy holder in the state of Pennsylvania. Life Insurance in Pennsylvania is regulated under Title 40 of the state statutes. These laws describe proper conduct for life insurance companies operating in the state, and spell out certain rights that all policy holders are entitled to. 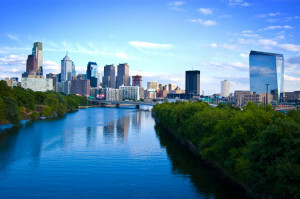 In Pennsylvania an owner of a new policy is entitled to a 10 day free look period. The free look period is in place so owners can consider every detail of their policy carefully, and decide if the life insurance really is for them. During the free look period insurance companies must except returns of policies in exchange for a full refund. It is illegal to charge any penalties or fees during the free look period. Not all states provide a free look period, but most do. Some types of policies may have longer free look periods than 10 days. The time after a missed payment begins the grace period. During the grace period, an insurance company must still pay a death claim payout if an insured dies. Even though a premium payment is late, the policy must remain in force during this time. If a payment is made by the owner, the insurance company must restore the policy to good standing, and any subsequent late payments will start a new grace period. The grace period in Pennsylvania is 30 days long. The sage lawmakers of Pennsylvania realize that not all insurance companies are as financially responsible as Life Ant. Because policy holders can not control how financially responsible their company is, a certain level of benefits are guaranteed by the Life & Health Insurance Guaranty Association of Pennsylvania. They will not cover an unlimited amount however, and the maximum death benefit coverage is $300,000 and the maximum amount of cash surrender value protected is $100,000. Any insurance claim in Pennsylvania that is not paid in a timely manner may cause the insurance company to owe interest payments on top of the claim amount to the policy beneficiaries. The time period that causes interest to begin accruing can vary depending on the exact policy, but most claims in Pennsylvania are settled within about 2 months.